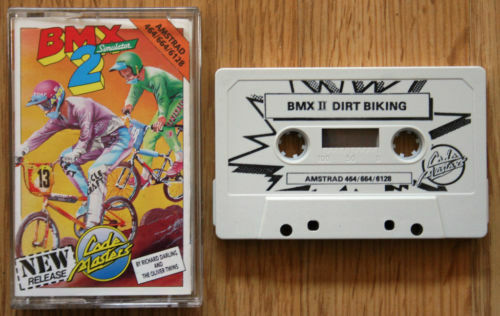 ★ BUG: IL Y A UN BUG DANS LES DEUX VERSIONS DE BMX SIMULATOR 2 ("DIRT BIKING" ET "QUARRY RACING"). IL Y A CINQ PISTES DANS LE JEU, MAIS IL EST IMPOSSIBLE DE JOUER LA DERNIÈRE PISTE, MÊME DANS LE MODE "DIFFICILE" ! » Topic: Cheats, pokes ou solution pour "BMX SIMULATOR 2"